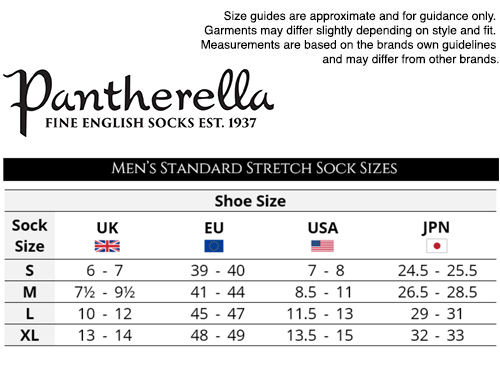 Pantherella 'Fabian' Made in England socks. 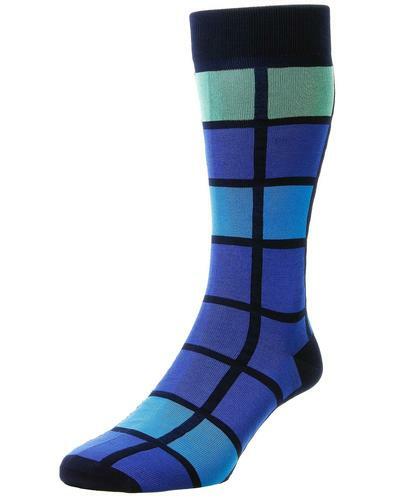 These 'Fabian' Men's Retro socks in ocean blue feature a sublime textured herringbone design, perfect for adding that finishing touch to your 60s Mod ensemble. Featuring block colour cuff, heel and toe. 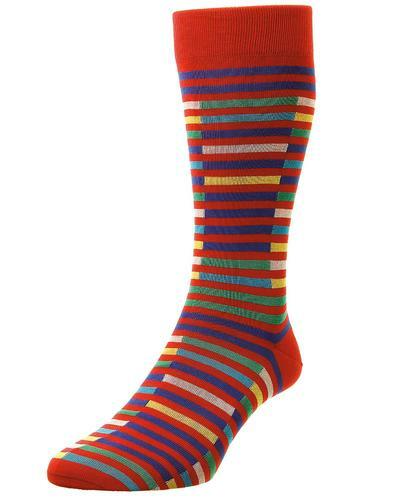 The Retro pinstripe footbed perfectly compliments the herringbone pattern. 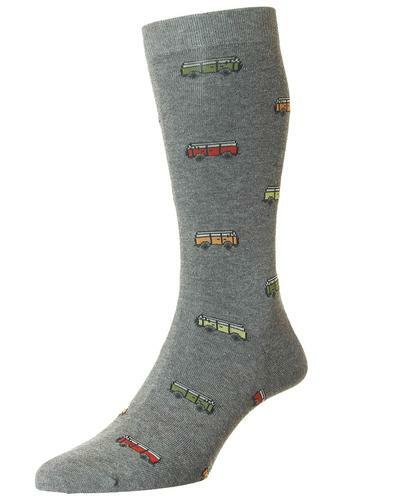 Pantherella 'Fabian' socks make for a great gift idea. 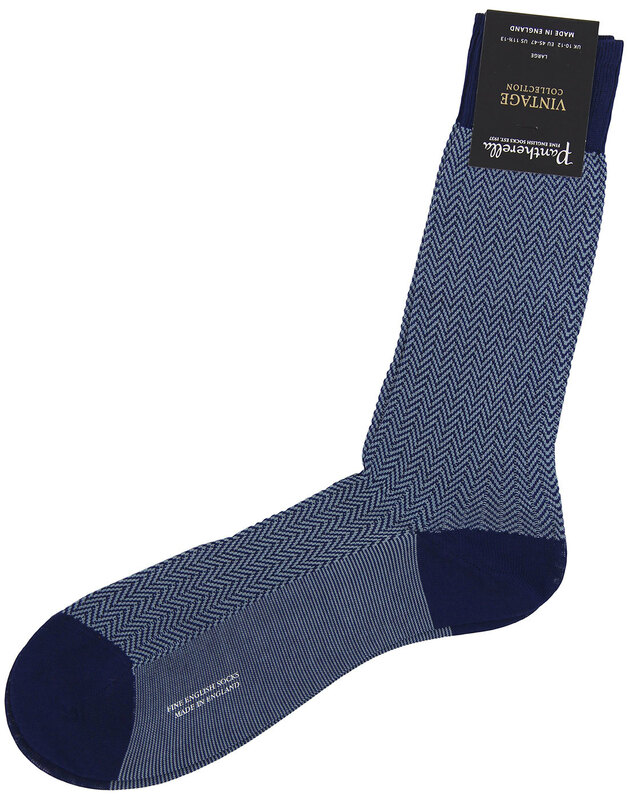 - Pantherella 'Fabian' men's retro herringbone socks. - Made in England from finest cotton blend yarn. - Part of the Pantherella Vintage Collection. - Block colour heel, cuff and toe. 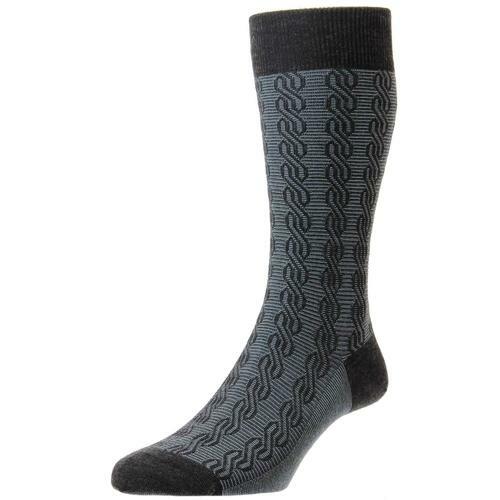 - SKU: 5311 140 Fabian Herringbone Socks. + Due to hygiene reasons this item cannot be returned for exchange or refund. Composition: 72% cotton, 28% nylon.